We have a spoiler for the March 2019 BoxyCharm box! FYI – We don’t have confirmation yet if this is in BoxyCharm or BoxyLuxe. Thanks to shabbilyshic, we now have a better look at the palette! Fill out your BoxyCharm profile! This palette is available in two shades and your profile will determine which palette you receive. If you sign up now, your first box will be February. What do you think of the spoilers? 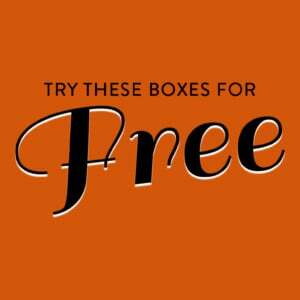 If you sign up now, the February box will be your first box! How do subscribers rate BOXYCHARM? 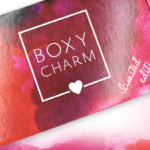 Do you subscribe to BOXYCHARM? Add your rating now! I cancelled Ipsy last month because it looked to me they were putting all of their attention into GBP and reg GB was just a dime store grab bag. All I was getting was miniscule samples of crap. I would have happily signed up for GBP but you need the golden ticket invite for that, can’t even get on a waiting list. I guess I’m still at the stage where I am wowed by getting palates instead of tiny pans, but I am mostly happy. I wasn’t wowed by the BTS mascara, but I have ultra difficult lashes that hate anything that isn’t waterproof. Even with the waterproof top coat, it was a fail. My only complaint is the poop colored lips they keep sending me! I love Ofra and Smashbox, it’s such a waste that that they end up going to my niece for play makeup. I didn’t think I’d be happy with this morning that box since it’s the first month they didn’t include a pallet (I owned absolutely no pallets except for cheesy drugstore ones before I joined BC) but I actually got the variation I wanted for the second month in a row. ( So glad I didn’t get that tiny overpriced flat iron). I got the Farmacy face wash and the Trestique lippie in a pretty berry shade. I also got the PV highlighter in the shade I wanted. I’m finally on the list for the luxe, so mad I missed out on December’s. I’m not overly pleased with the spoilers for next month(I haven’t even used my lashes from November’s regular box) but the It moisturizer and the Morphe pallet have me still in. Hopefully there will be some better spoilers as we get closer to March. They just announced on their Instagram that this will be for BoxyLuxe, doesn’t look like it’ll be for regular boxy. I just cancelled my BL last night😞But I still love em & still want(getting) my reg box, but now I wonder what’s in the reg BC for March🕵🤔, hmm!?!?!? Does anyone know if the Cover FX palette will be in the Boxyluxe box as well? If not then I think I’d rather cancel my Luxe so I can get this palette! It looks so pretty! I’d rather have the Cover FX palette than the Morphe palette, the Morphe looks nice and I’d like to try the brand but the colours are very similar to the VV palette from December. And the Cover FX palette looks great for everyday and for travelling! When’s the last day we can cancel Luxe & not be charged…I’m STILL holding out for a few more spoilers??? Ouch! You can’t make everyone happy. These comments are hard to read. If this is for the regular Boxycharm I think this makes it a solid box. Right ? I wonder what would make the majority happy ! Seems like no matter what we get there’s complaints. Is it confirmed that this is for boxylux ? The first 3 spoilers for Boxycharm are in Boxyluxe… so yes, this would be in Boxyluxe. i just dropped luxe. They lost me with lashes. Me to. Just canceled Luxe. Me tooo!!! I’m always happy with boxy…. no matter what we get it’s always a great deal! It is a great deal, yes, but how many shimmer shades & highlighters & red lippies can 1 have & not be using daily! With the GBP I’m using my products everyday & I feel like I’m getting my money’s worth with them & not so much with Boxy anymore! With that being said, I’d gladly give up my spot to someone who truly wants it & re-sub when I start to see things I’m going to use all the time as opposed to giving most of my items I get away! That’s what I did. I already canceled luxe and I am canceling reg boxy tonight. Just not feeling them anymore. I just got febs box today and the grand lip color I got I could use as a concealer !! And more masks. I never get any of the new products. I actually just went ahead & cancelled my Luxe! I would rather someone else get it that truly wants it! I’m still keeping the now almost $23 Boxy just in case I want to reactivate my Luxe! Plus, I really feel it is a great deal & even if I get half the box in what I can use then it’s still a steal of a deal! Nothing really says Luxe to me except maybe the IT Moisturizure but I’m still on my Elemis & Tula moisturizures & its something I can definitely live without! Plus in my FFF I chose the Korres wild rose sleeping mask, so I’m stocked up on them right now! I was extremely happy with the Dec Luxe box & this for me just seems a step down from Dec! I agree. I got that same variation. I could not believe it. I would have been happy with number 1 or 2 or even 3 but I ended up with this one . I did not even realize this was a choice. I had not even seen this . I have been a customer for 3 years. I am so mad about it. I hear what you’re saying, but how else are they to know what their subscribers do and don’t want? I’m sure they’re well aware that they can’t please everyone, but if many people feel passionately about some products, I’m sure they want to know. Companies pay good money to get consumer opinions, we’re on here giving them for free! Same. I’m still debating on getting the Boxyluxe, so far I’m thinking no. May be canceling at the end of February, awaiting more spoilers. I totally understand that. I strongly feel Luxe subscribers should get EVERY item in the regular box plus the extras. I don’t get why they can’t just do that. It kind of feels like a penalty for paying $30 more. Amen girl, yassss👏👐, you said this perfectly!!!! & I do remember that they DID in fact say that all the products in the regular box would be included in the Luxe & I don’t remember them telling us that this changed! They just changed it, I assume, without even telling us!!! But they did say that!!! I cancelled my Luxe to give it to someone else!!! & I don’t regret it, especially after seeing today’s Luxe spoiler-a CoverFX highlight/blush/setting powder palette! The blush for light/med was too orangey & for med/dark, it looked almost burgundy! I thought that would actually be in the reg boxes too, but I don’t know & I’m kinda glad if it’s not! I have whole highlighting palettes from them that I still haven’t used but twice & this months box for me has another highlighter! We were all told to make sure our quiz is filled out or updated & mine was done 2 years ago!!! We were told customization would start last Aug but now it’s moved to March but what will be customized for the reg box now!? I’m hoping they’ll step up their BL game after taking notice at how much Ipsy GBPlus is killing it & the total number of people who just canceled their Luxe, including me! I know it’s a heavy makeup sub but like you said, how many unusable bright pink or red lippies or highlighters can one have, especially if that’s NOT what we choose or want! You can’t experiment of your getting similar products, the whole point, I thought, was to try NEW brands & their products!!! But, I’ll always have a sweet spot & be very thankful to BC for stepping up my makeup game & I could NEVER cancel my regular box, it’s always a steal of a deal even if I use only half the box! I just wish they would let us choose at least 1 product or at the very least the shade!!!! I have enough highlighters to be seen from space😬😵🤣!!! I’m not seeing anything interesting enough for this month’s and next Boxyluxe for me to reactived. January’s Boxycharm was so not exciting to me I don’t even remember what I got. Sorry guys – I’m excited for the lashes ! I’ll take them all ! I wish I got lashes every single month ! I love getting 15-20$ lashes in a 21 dollar box. I can’t complain AT ALL! Lashes lashes lashes !!! Agree! No more lashes, please or highlighters!!!!! Never, in all the years I’ve been with Boxy, did I ever choose lashes & I always write my reviews but still get them! This is so disappointing. Not only do I not need this at all, but they only promised that ONE product would be based on our profile. So that means the brow product will be the same shade for everyone, most likely the medium brown. That’s way too dark for me and it’s the only product I like so far. I only liked one item in January, based on spoilers I’ll probably only get one or two useful things this month, and March Luxe isn’t even looking like it’s worth the $21, let alone $50. To me at least. I know the value is always there but it’s just not money well spent when you can’t use most things. Especially if you are already on product overload. I’m thinking Ipsy Plus will be enough to feed my addiction at this point. So far I’ve liked at least 3 products and sometimes all of them every month. That’s positive and I don’t mind Cover FX. Im glad its not PUR either-lol. March spoilers are not looking good. I have a Luxe sub and am looking to cancel at this point. All the complaints of brown lippies are reminding me of the 10 brown and 2 purple clearanced lippies Ive received (nvr used!). Im on overload and there’s no spoilers worth staying subbed. Glad I’m not the only one who doesn’t use brow products . I don’t know why but those big bold brows just seem to look awful on me . At least I think i do . I’m right there with you. When I’ve tried to even slightly emphasize my brows I look like I have lost my mind. It looks so good though on other people. Maybe our features are pronounced enough as is. Usually the best spoilers are the ones spoiled first, unfortunately. 🙁 I’m with you, only I am only liking the It moisturizer, and it’s just not enough to keep me subscribed. Here’s hoping something amazing is spoiled soon. Anyone else sick of the same old brands over n over? I definitely don’t see anything that’s gonna get me back on board. Been gone for two months now and IMO boxy can’t hold a candle to Ipsy GBP right now. I’m so happy and content with GBP and FFF right now. (Ipsy) Glam Bag Plus probably. This better be a palette everyone gets! I want it ! So it has blush, countour, two highlights and a a finishing powder. This is a full face palette. I’m actually really excited to get this. It’s also Cover FX o I’m sure the quality is amazing. Oh no, not another highlighter/contour palette. So tired of those. Ipsy is definitely winning me over, never thought they’d be so much better than Boxy! Ipsy Plus was sending out morphe highlighter compacts and eyeko eyeliners 2 months in a row (Oct & Nov), needless to say ppl were pissed!!! The 1st Plus box was a complete bait&switch (nothing as advertised). Ipsy Plus is still advertising their subscription via email w/ products which in reality are not available to any Plus subscribers. I got an It Cosmetics Foundation brush, Maelle Bronzer, Tarte Eyeshadow, Purlisse Mud Mask, and Finding Ferdinand lipstick this month, all full size- no bait and switch travel size. My GBP has been awesome. Full sizes, great brands, personalization, and they really listen to feedback and survey us each month. Boxy just doesn’t care. Exactly! Ipsy has been ahead of the race for me as far as personalization & top products! Trust me, I read about that fiasco every step of the way, which is why I’m surprised they were able to do a 180. I had bad luck with Ipsy last summer, cancelled and was very skeptical about the GBP. I was super happy with Boxy all last year, but boy, things changed quickly! Month 2 of the no buy and not sorry. make sure you have completed your profile. They’re supposed to begin using those in March. Lol…they said they were gonna use them a month or two after we did the quizzes before the first Luxe box came out. where is the profile at on their site? So some people have the potential of getting two highlighters or bronzers (PV compact and the palette)? Yikes. No. I don’t think that the pallette is for this month. it has to be for March. Whoops, just saw it’s too different months. So it sounds like each person will end up getting the palette and a highlighter or bronzer, just separate months. That’s exactly why I stopped subbing. They want your whole body to glow with as much as they send. Does anyone know if cover FX pressed powder products are any good? I love their loose powder and their liquid products. I like the one I’ve tried. I love their primer and liquids but I’ve only tried one powder and it was good too. Not sure about any other powders they have. I’m excited to try the palette tho. Good variety in it, at least it isn’t only highlighter or only blush etc. Really? I found that their perfect setting powder was awful and didn’t really hold the shine at bay compared to other setting powders. Although I wholeheartedly agree with you regarding their liquid complexion products, sucky packaging but the formulas are my fav!! I really hope this is in the regular March box as well. Yosef, another hint, please?!? BTW, I’m so excited for the February box! All things I need/use/will love! Has anyone received shipping confirmation yet? There is nothing like this on Cover FX’s website, so it must be a Boxy exclusive or a pre-release of a new palette. Hope the quality is the same. It looks like there’s s lighter and darker shade? If that’s the case and they will use our profiles then I think I will like this as long as the quality is good. It’ll help me streamline my makeup collection a little and make me get rid of some of singles of blushes and highlighters that I don’t love. Where is the profile page? Anybody know? Thanks, I found it. It was the last link I looked at. Figures. Me too. I kept searching under My Account…. Never mind. I found it. It’s under “The Box” link. Me too. I’m glad I dropped luxe. Agreed. Maybe April will pull me back to them. I’ve been quite happy with Ipsy Plus! I’ve been gone from Boxy since last September. I always look at the spoilers. So far nothing has lured me back. Two palletes and two skincare items this month, and I have not once received a brown lipstick! Gonna have to step up your game Boxy! "Man, Allure used to be my favorite beauty sub, but I've SO been disappointed lately. I tried to cancel last mont..."
"This is the first box I've ever gotten from FCS (because I adore Kingdom Hearts! ), and I finally understand the ..."
"Those look awesome on you! I noticed theres 2 other colors for this design, will everyone get the purple ones fo..."